A Las Vegas company is drawing on technology popular in Europe to change the way car and truck owners service their vehicle’s engines. 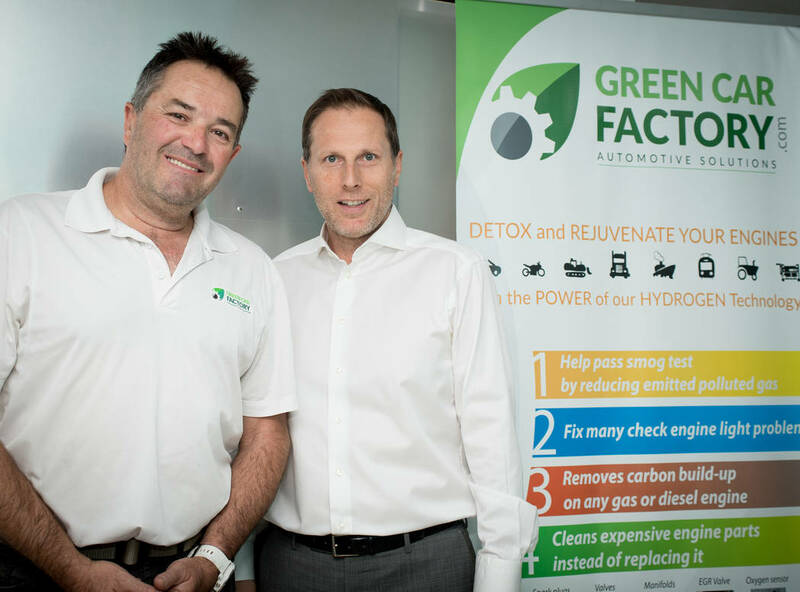 The Green Car Factory is a distributor of hydrogen generator technology developed in Germany and France for removing carbon deposits from engines in cars, trucks, motorcycles, boats, generators and even lawn care equipment. It works on any type of gas or diesel engine. The result, the company’s owners said, is a reduction of emissions that cause air pollution, and the procedure enables vehicles to turn a failed smog test into a passing one. Engine performance is restored to improve gas mileage by about 5 percent, and the service reduces the need for repairs, according to Stephane Di Pascuale, CEO of the Green Car Factory. The company has distributed its technology to a handful of mechanic shops and car dealerships in Nevada and California and is hoping to gain more attention this week at the 2018 SEMA Show in Las Vegas, where the company has a booth. Repair shops and dealers offer vehicle owners many services, but detoxing engines hasn’t been one of them. Di Pascuale, a native of France who came to the U.S. in 1999 and is a real estate agent, said the carbon technology has revolutionized the automotive industry in Europe in the past five years, and he’s hoping it becomes an integral part of the way automotive maintenance is done in the U.S.
Hydrogen is used to clean the engine without the need for dismantling it, Di Pascuale said. Hydrogen is sent through the entire exhaust system and loosens carbon buildup inside car parts such as the exhaust gas recirculation valves, turbocharger, catalytic converter, oxygen sensors, spark plugs, manifold and diesel particulate filters. Co-owner Jean-Luc Montagnier said the technology is starting to catch on in Canada, where people are environmentally conscious about global pollution. It started in Europe, where they popularized the technology to combat pollution. The company has partnered with a French manufacturer that makes the equipment under the Green Car Factory brand. Montagnier helped design the equipment, which is made for bigger engines in the American marketplace. There are more than 3,000 centers in France that do carbon cleaning of engines today, Di Pascuale said. It started as a way to improve gas mileage for trucks but was discovered to work with car engines for gas mileage, performance and pollution. Di Pascuale said there’s some resistance about the spread of the technology because its use would take away from engine repairs that can be profitable for shops. The company says one servicing a year can reduce vehicle repair bills by 70 to 80 percent and extend engine life by four times. The technology allows for car owners to pass a smog test without their engine being dismantled and spending hundreds of dollars for repairs, Di Pascuale said. He estimated that nine of 10 owners who failed a smog test would pass after the hydrogen cleaning. The treatment, which shoots hydrogen into the engine via the air intake valve, takes about one hour. The typical charge is $95 for mechanics who offer the service. 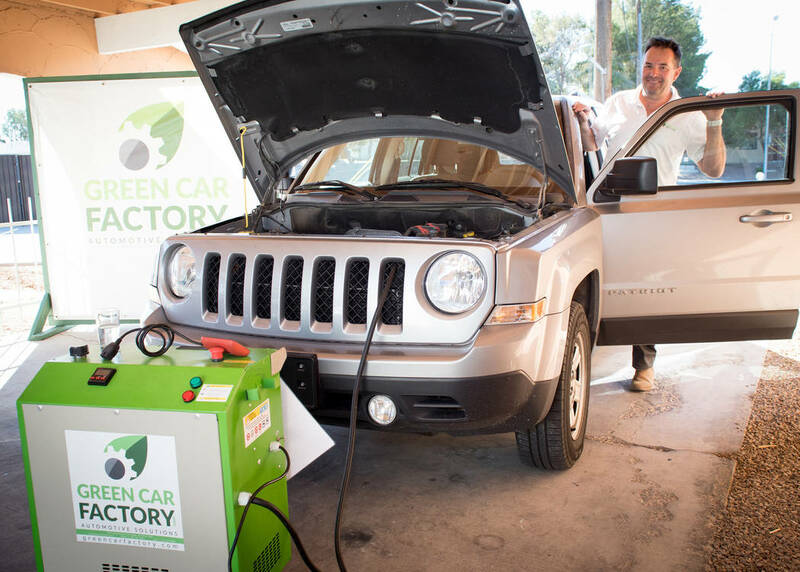 The Green Car Factory even offers the service at a reduced price by appointment at its offices at 2700 Horseshoe Drive to help people gain awareness about the technology and popularize it locally. The hydrogen machines cost $9,000 or can be rented for $499 a month.